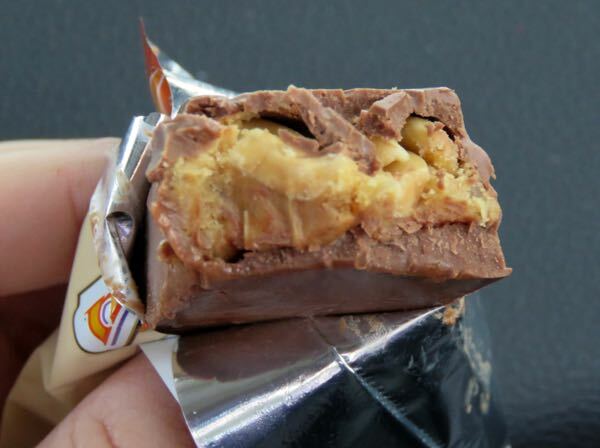 Welcome to Day #2 of Chocolate and Nuts Theme Week. 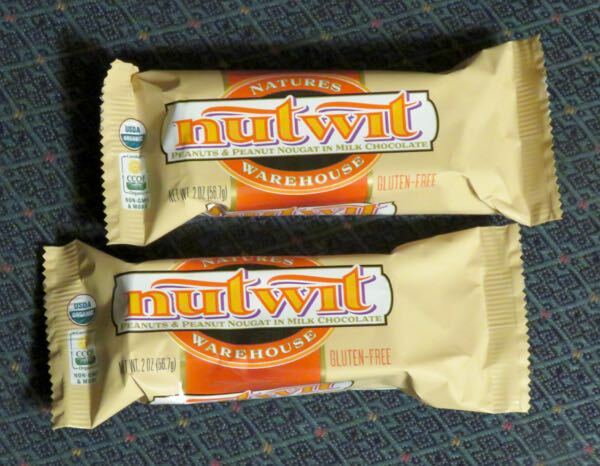 Nutwit organic and gluten free chocolate candy bar was from Natures Warehouse. And it was full of peanuts. 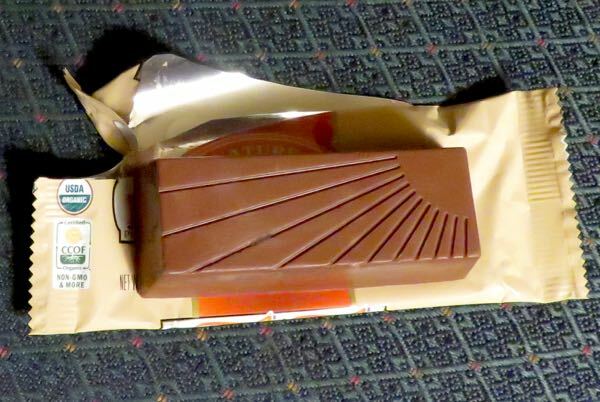 The relatively thick, sweet milk chocolate shell, adorned with a sunburst pattern on one side, was filled with flowing caramel, peanuts and peanut butter nougat. 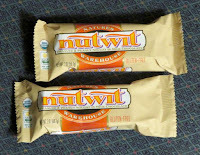 This bar was bit sweet too sweet for some of our tasters, but it did have a much simpler and presumably better** ingredient list than many candy bars. **Gluten free and organic are "better" here at Chocolate Banquet--as are shorter ingredient lists with fewer artificial and processed ingredients.